University Twente Scholarships (UTS) are scholarships for excellent students from non-EEA countries, applying for a graduate programme (MSc) at the University of Twente. There are two possible UTS scholarship amounts for one year study programmes and two for two year programmes. The student can only chose and apply for one of these. The amounts stated are given per year of study. You have been admitted/provisionally accepted to one of the above mentioned UT graduate programmes before 15 December (round 1) or 15 March (round 2). You have graduated with excellent results (overall CGPA) from your (under-)graduate programme. 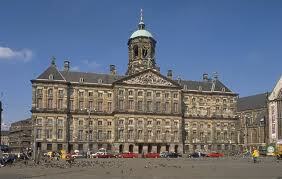 You comply with the conditions for obtaining an entry visa for long stay in the Netherlands. You comply with the general English language test norm Academic IELTS 6.5 (or TOEFL iBT of 90) and an additional 6.0 (TOEFL iBT 20) on the subscore of speaking skills. You are a national from a non-EU/EEA country . You are not eligible for a Dutch study grant. You have completed a pre-master at the University of Twente (if applicable). If you are starting a ‘pre-master’ programme you may already apply for a UTS. However, you must complete your pre-master programme with a CGPA of 7,5 out of 10 to be eligible for a UTS and comply with above mentioned requirements. To be considered for a UTS scholarship please send the following information to [email protected]: (a) full name, (b) student number, (c) master programme you have been admitted to and (d) admission letter as attachment. You will receive instructions on how to submit a formal UTS application.